Dupont Circle. A walkers paradise! 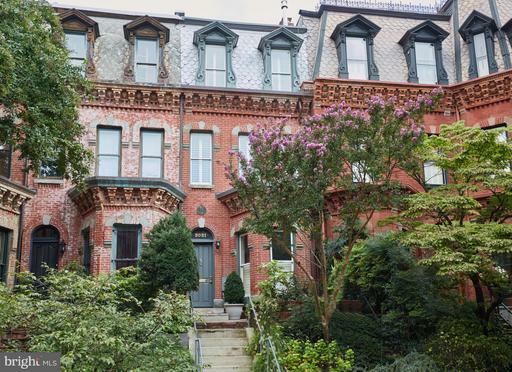 This exquisite Victorian style home has five levels of luxury living. 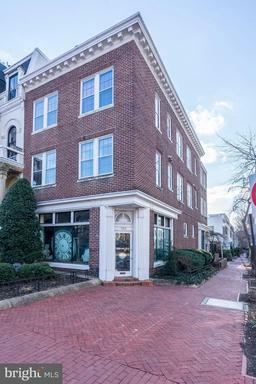 In the center of historic Dupont Circle, this gorgeous home offers over 4,000 square feet of living space featuring a grand entrance with an open atrium from the first to the fourth floor, a gourmet kitchen, serving kitchen, four wood-burning fireplaces, four spacious bedrooms, two with en-suite baths, three full baths total, two half baths, top floor sunroom or home gym, rooftop deck with jacuzzi, new copper roof,one car attached heated garage with off street parking, private outdoor patio and more. Call listing agent to show. Sellers need to find a home of choice. Don~t miss this rare opportunity! 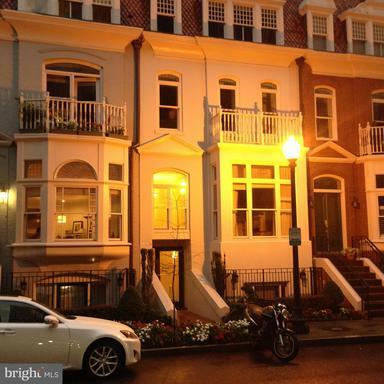 Fabulous Dupont Townhouse fully renovated and expanded in 2008. 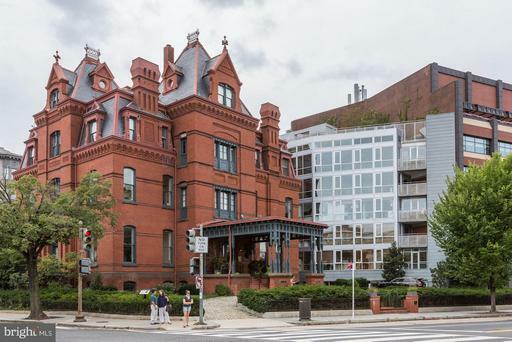 This historic beauty maintains its original charm while incorporating todays living amenities. The gourmet eat-in kitchen opens to a private Ipe floored deck and garden. Second level master suite plus additional family room/bedroom with gas fireplace and full bath. Top level guest suite with en-suite bath and office. 2 car attached garage. 98 Walk Score! 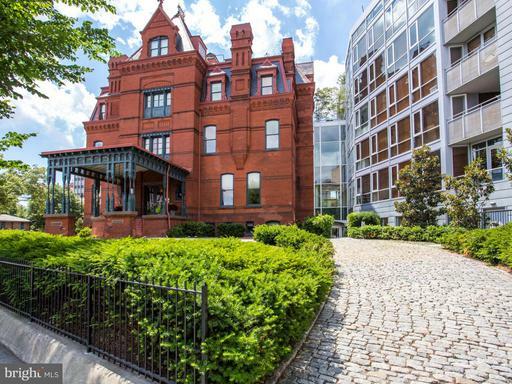 Rare opportunity to own a Dupont Circle address. 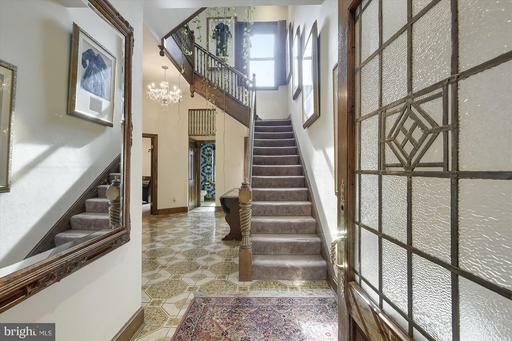 This Historic Victorian has 4 levels. Built in 1870/1895 and remodeled in 2011 with 4 bedrooms and 3.5 baths. See floorplan tour. Great neighborhood! 98 Walk Score! Walk to Metro, dining and entertainment. Near embassies and short walk to White House.Main level living room, half bath and modern kitchen with large hardwood deck. The next level has 2 bedrooms with a large bath. The top level contains the master suite with enormous bath and walk-in closet. The lower level has front and back entry, family room or 4th bedroom, full bath, utility and laundry rooms. The stairwell skylight allows natural light into all levels. High ceilings, custom millwork, crown moulding, oak hardwood floors, solid wood doors casings, crystal doorknobs, recessed lighting, gourmet eat-in kitchen w/pantry, Calacatta Gold marble baths, Subzero refrigerator and additional freezer drawers, Wolf gas range, Whitehaus sink, Hansgrohe faucet, Bosch dishwasher, KitchenAid microwave convection oven, potrack, Waterworks freestanding tub with Perrin Rowe tub filler, Steamist shower, heated towel racks. 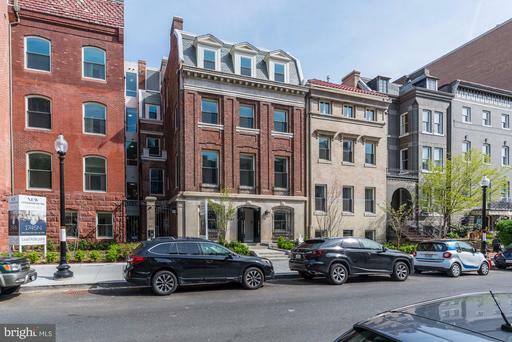 Listing Broker: Jefferson Realty Group, Inc.
1745 N is a brand new development featuring two distinctive buildings that will be comprised of the Historic Row and The Modern Flats located in the heart of DuPont Circle. With over 25 different plans for the 68 residences to choose from delivering Summer 2018. Residence 213 is an open 2 bedroom/ 2 bathroom home with Southern and Northern exposure and is stunning. Price Reduced! An entertainers dream! Luxury New Construction with 50 Balcony! 10 ceilings, 7" Hardwood throughout; Gaggenau Thermador Gas appliances, Marble bathrooms w/ heated floors; Woodmode cabinets, Calcutta Gold quartz counters, Custom walk in closets ; Roof Terrace with wet bar offering Monument White House Views; concierge, secured access and more. Walk score 98! Relaxing front porch on treasured Church Street. Known for its neighborly residents and diverse architecture, this home is a walk score walkers dream location. While its set just off 17th St with its shops, restaurants, and grocery, the one-way block is very quiet. The entry foyer opens to a large and bright living room with exposed White Oak staircase, nice handy closet and pocket doors leading to the dining room. 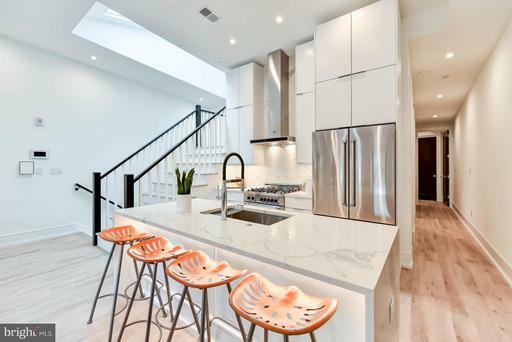 The formal floor plan opens up with a recent addition providing an open flow and the tablespace kitchen loaded with 42 maple cabinets, builtin refrigerator and lots of glass leading to a stainless steel rear deck and parking for two cars. The upper level has three real bedrooms including a master suite with lofted ceilings, skylights, two closets, and a brand new custom bath. The middle bedroom has room for a queen and has a large closet, a large window and is now used as a den. The upper hall has a skylight, whole house fan, and pulldown stairs to the roof and future deck. The hall bath is updated and bright with linen closet and laundry close by. The rear bedroom has a bank of windows, great closet and makes for a comfortable retreat. The lower level legal money maker with C of O also benefited from the addition and was excavated for an open concept. $150k Price Improvement! 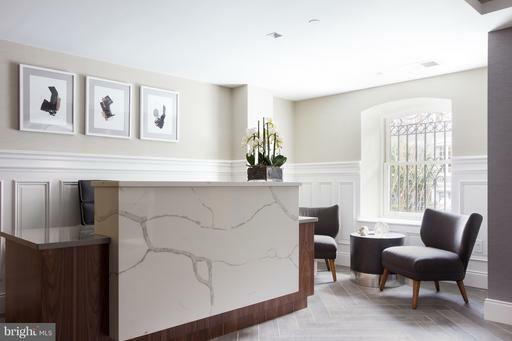 Welcome to Le Dupont: a boutique collection of finely appointed residences in Dupont Circle. The Penthouse #7 is outfitted with Calcutta Paris quartz counters with a waterfall edge at the island, Bertazzoni stainless steel appliances with gas cooking, and American-made Ultracraft cabinetry with soft-closing doors drawers. Bathrooms feature gray quartz counters, stunning marble tile, and Waterworks Kohler fixtures. A private roof deck with gas, water electric connections perfect for an outdoor kitchen, as well as outdoor speaker pre-wire complete this one-of-a-kind residence. Smart home features including key-less entry, in-ceiling speakers, USB outlets, audio/visual secure entry to the building, Honeywell alarm, and Nest thermostat all of which convey. Energy efficient LED recessed lighting, full size washer dryer, and superior soundproofing between units. Now is the time to make your move! 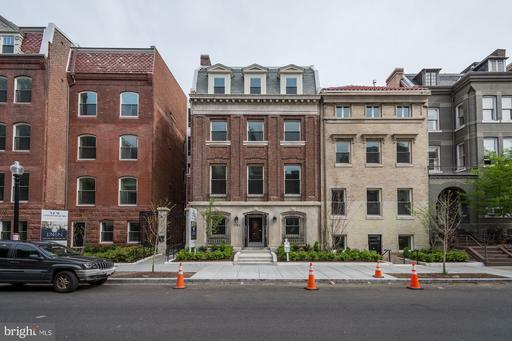 1745 N is a brand new development featuring two distinctive buildings that will be comprised of the Historic Row and The Modern Flats located in the heart of DuPont Circle. With over 25 different plans for the 68 residences to choose from delivering Summer 2018. Residence 108 is a stunning 2 bedroom/ 2 bathroom flat with an amazing walk out terrace. 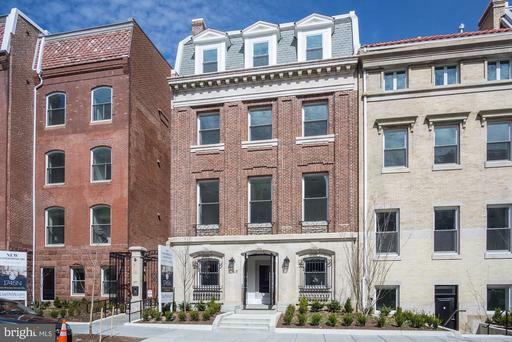 Penthouse 8 is 1,915 SF, 2BR, 2.5 bath plus loft-office supremely positioned with views of Embassy Row rooftop Monument views. This uniquely built, elegant condominium stands out in a sea of ordinary, capturing the essence of its historic surroundings. 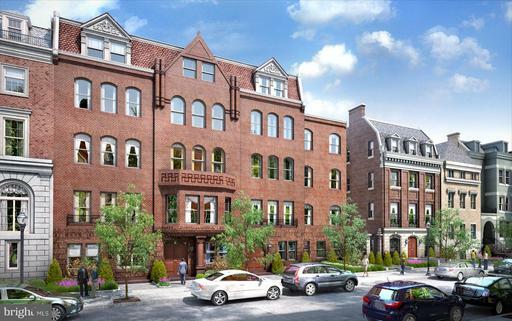 Complete w/ 22 ceilings, 6 skylights, 12 windows, roof deck 1 off-street parking space in rear. 2.5 blocks to Dupont Metro. You love to entertain. Having friends over for dinner before stepping out for a late night martini in the city. Through your private front door, it~s easy to welcome guests. The living room with its custom window treatments, brick accent feature wall, and beautiful hardwood floors is a wonderful gathering space. The spacious open living room and kitchen flows easily to the separate dining area. A chefs kitchen is stocked with Viking Professional appliances, granite countertops, ceiling height cabinetry, a large pantry, custom lighting, and a peninsula for prep and the buffet. The home features two en-suite masters creating privacy for family or guests. The master bedroom suite offers a custom designed walk-in closet, and large bathroom with terrific storage and a massive shower. Room for seating and home office is also easily found in the bedroom suite. The second bedroom, or den, with its own en-suite bath has a large closet and houses the in-unit laundry. Rare Opportunity to own a loft at primest corner of 21st St and Newport Pl! Was originally a loft 2-bedroom 1-bathroom condo, then converted to a gallery. Now a shell with dramatic, soaring tin ceilings. Can be transformed to coolest residence and/or gallery/showroom. Can be bought as a package, with 4 residential condo units and four garages! Sold "as is". Brand new corner 1-Bedroom / 1 Bath with open floor plan in the Modern Flats. 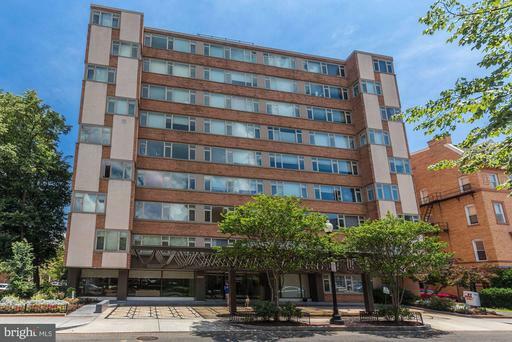 Located 2 blocks from Dupont Circle metro! Featuring private balcony, hardwood flooring throughout and large bedroom featuring walk-in closet and en-suite bath. Kitchen features modern cabinetry, Bosch appliances and Quartz countertops. Available for Immediate Move-In. Schedule an appointment and tour our model home! Sales office is open daily between 12pm-4pm. 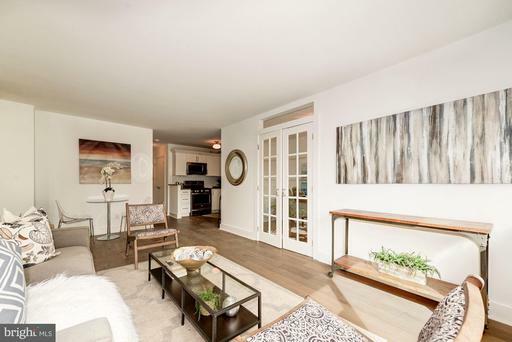 Contemporary open floor plan in the Modern Flats located on one of Dupont Circles stunning tree-lined streets. 1745 N Streets Historic Row and Modern Flats have been reimagined for todays condominium living. Featuring large windows, unique and spacious floor plans, designer fixtures, high-end appliances and wood flooring throughout. 68 total homes from the mid 400s to $3M. Lovely Apolline 2BR/1BA w/ expanded improved kitchen w/ newer SS appliances, BRAND new wood floors. Newly updated bath vanity, lighting, tile, etc. TONS of closets, great light, 2nd bedroom perf for office guests. 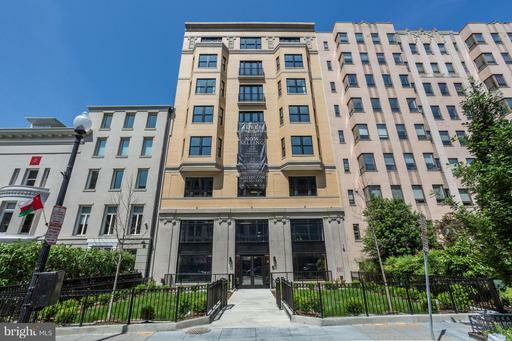 Favorite full-service Dupont bldg w/ unparalleled roof, heated pool 24/hr desk! ALL Utilities included in condo fee! Sun, 3/24, Open House cancelled. World Class Living - Neighborhood Feel! 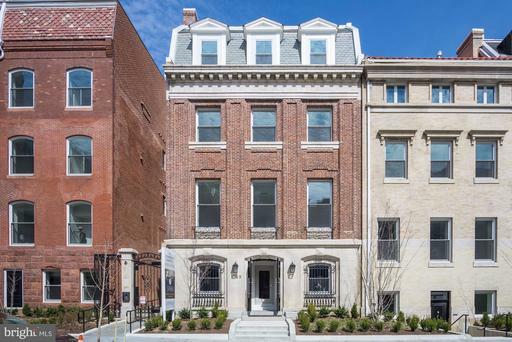 Welcome to Cavanaugh Court by builder Harry Wardman, a sumptuous Beaux Arts co-op blending Old World charm with contemporary living in the heart of the Dupont Circle Historic District. Open, flowing floorplan features a living/dining room with vaulted ceilings, Juliet balcony, and French doors overlooking a gorgeous shared private resident courtyard with patio seating and gas BBQ grill. The renovated dream kitchen has an attractive and multi-use island, quartz counters, stylish backsplash, and stainless appliances, including a Bosch dishwasher and built-in microwave. Two generous bedrooms one with Juliet balcony and French doors, each boasting a new ceiling fan, en-suite full bath, and updated closets with smart shelving and new custom sliding doors to maximize storage and living space. Featured Amenities - Plenty of glorious natural light private courtyard views - Classic chic with marble tiling in bathrooms and kitchen, and lovely clawfoot tub in 2nd full bath - Renovated kitchen with island counterspace and seating, plus updated lighting above sink and island - Built-in shelving throughout, including countertop-to-ceiling cabinets in kitchen - Wood flooring throughout, refinished in 2016 - Electrical panel updated and expanded in 2017 with new dedicated circuit to accommodate future washer/dryer if desired - New vanity, custom countertop lighting in master bath - Assigned storage unit - Common laundry room bike storage area - Private shared courtyard for residents with patio gas BBQ grill - Secure building with grand foyer - Pet friendly. Supreme location! 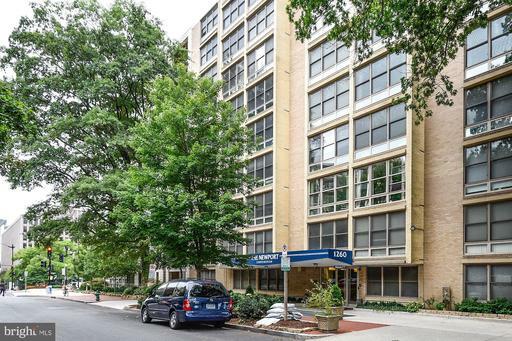 A short walk to so many conveniences and attractions, including FRESHFARM Sunday farmers market, Metro Red Line, Whole Foods, Embassy Row, the Phillips Collection, Stead Park, and the Keegan Theatre. 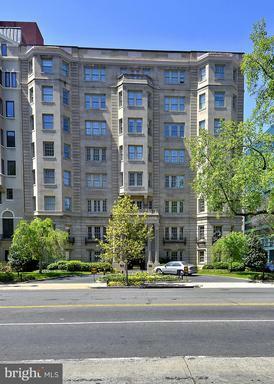 Elegant and chic condo in a prime Dupont Circle location! All utilities are included in monthly fee. Steps to the Dupont South Metro Station, great restaurants and shops. Two bedrooms and two stunning baths, beautifully updated with floor to ceiling stone tile and pristine stainless hardware and shelving. Sleek and stylish kitchen boasts custom slate walls, maple cabinets, specialty lighting, wine rack and a 9 foot maple breakfast bar plus stainless steel, granite counters and gas cooking. High quality closet systems provide for excellent storage. Gleaming high-end plank flooring, track/recessed lighting and special touches throughout truly make this a one of a kind. Window treatment ensures privacy, and home is hard wired for commercial use, if desired, with quad-outlets and data/cable in each room. MU16 zoning makes this home doubly valuable-can be used as residence or professional office. Parking spaces available for rent. Floating wall can be removed if desired. CHECK OUT THE ROOFTOP DECK WITH STUNNING VIEWS, POOL, GRILLS AND PRIVATE AREAS FOR GATHERING!! Brand new fully renovated gorgeous bathroom w/marble-design Porcelain! Open floor plan w/gorgeous wood floors. Updated open kitchen w/stainless steel, granite, Birch cabinets, and kitchen serving island. Walls of windows-abundant natural light. Custom top-down bottom-up LR window treatments. Serene king-size bedroom w/custom blackout window treatment wall of generous BR closets. Closet space galore! Multiple places for a home office. Newer windows. Newer HVACs w/individual room controls. 24/7 front desk. Amazing outdoor rooftop lounge w/heated pool. ALL utilities included! Utilities included. 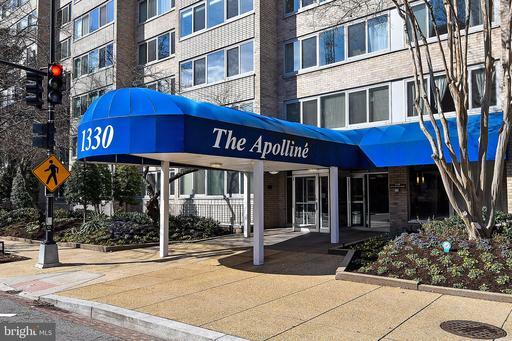 Bright and spacious 1 bedroom, 1 bathroom condo ideally located just 2 blocks from the Dupont metro. The unit features built-in book shelves, a walk-in closet, and ample storage / counter space. Upgraded finishes throughout include hardwood floors, over-sized windows, and a kitchen that comes equipped with ivory cabinets, stainless steel appliances, and granite countertops. Residents also have access to a 24 hour front desk service and heated rooftop deck with a pool and grilling area. 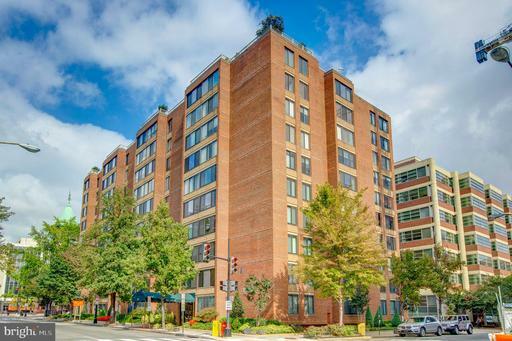 Located in the heart of Dupont Circle - just 1 block from the circulator and close proximity to bike shares, metros, and other forms of public transit make it easy to get around. 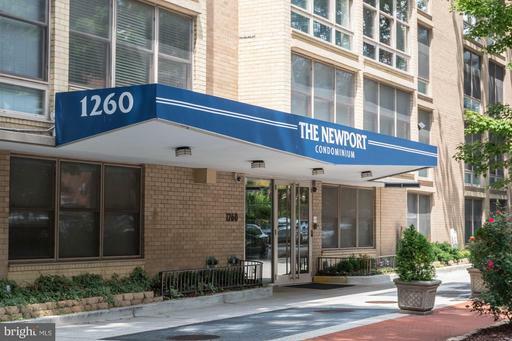 The building is perfectly situated just around the corner from all of the fantastic restaurants, bars, and shops that the Dupont neighborhood has to offer. 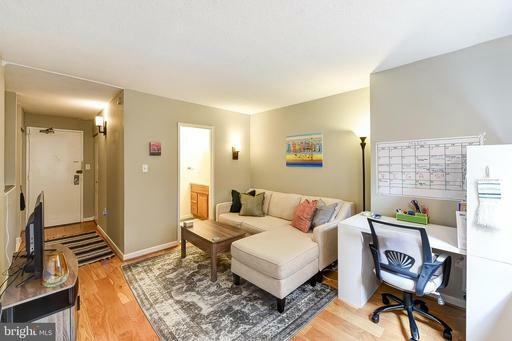 Bright and spacious 1BD/1BA gem at highly sought after Copley Coop. 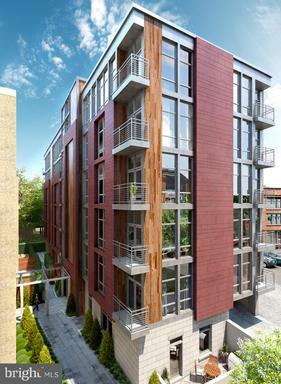 Unit features hardwood floors and expansive windows, providing abundant light throughout. Gourmet kitchen boasts granite counters with breakfast bar seating and stainless steel appliances. Washer/dryer plus plenty of storage inside unit. 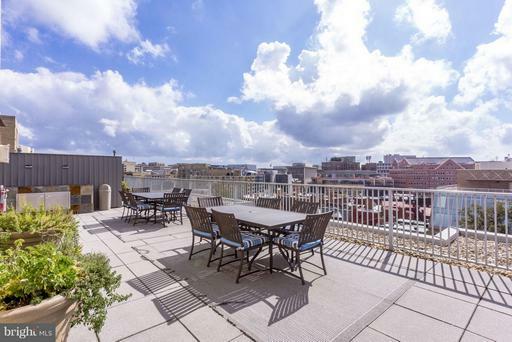 Enjoy outdoor entertaining and panoramic city views on the shared rooftop patio! 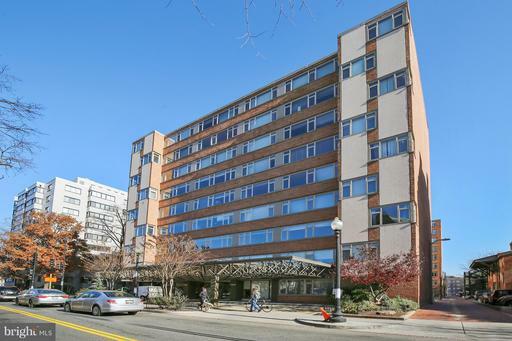 Perfectly situated in Dupont within steps to restaurants, metro and more. Blocks to Whole Foods, 14th St shops and entertainment. Coop fee includes all utilities, taxes internet. Perfect unit in the ideal location. This great unit has plenty of natural light! Includes Granite counters with tile through out the kitchen, great pass through from to dining area which can easily convert to a bar counter for entertaining, Open floor plan, freshly painted and floors just professionally cleaned. Large bedroom and closets! Also comes with a assigned garaged parking space and storage. 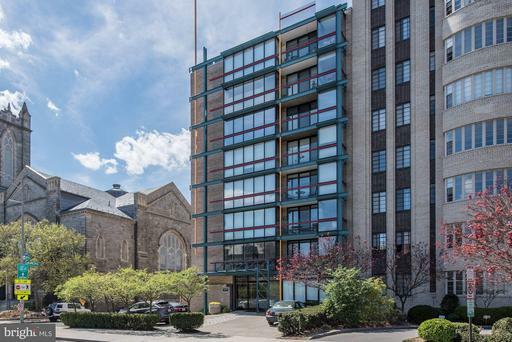 Well kept building with low condo fee! Great pool to relax in the summer! Close to metro and more! 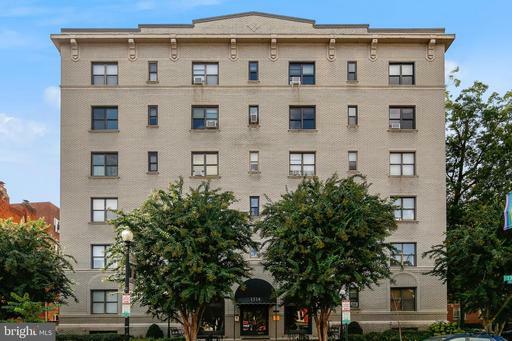 Live in the center of it all with this large 1-bedroom/1-bathroom condo in DCs hip Dupont Circle neighborhood! Enjoy large windows, wood floors, renovated kitchen, a pet-friendly policy, and more. Amenities include bike storage, 24-hour front desk and amazing roof deck! Walk to restaurants, bars, galleries, entertainment, and several Metro stops. Condos fees include heat, A/C, water. Large garage parking spot #11 also available for sale at $50K. * PRICE REDUCED * WOW! 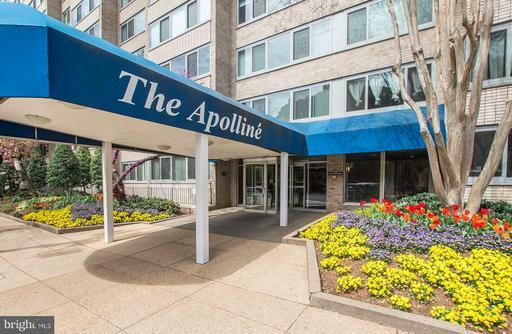 Great value and in the heart of Dupont Circle. This wonderful condo is a sun filled corner unit featuring 1 bedroom, 1 bathroom with a private balcony. New carpet and paint throughout. Bedroom features a large walk in closet. The private balcony provides outdoor living space most would envy. 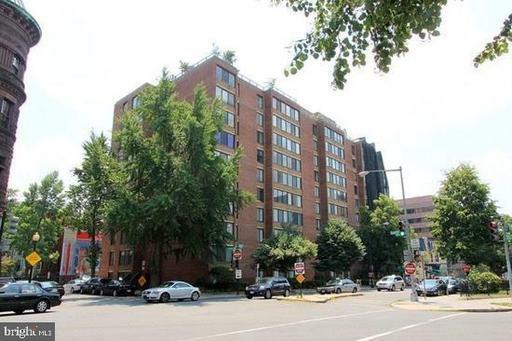 Conveniently located steps to restaurants, bars, shopping and metro! Walk Score 97, Transit Score 99, Bike Score 89! Condo fee includes all utilities. Building features rooftop terrace, pool, sauna, 24 hour concierge, elevator and laundry facilities. Dont let this one pass you by! 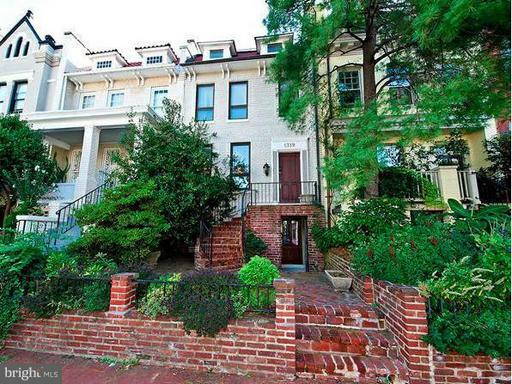 Live in the heart of Dupont in sought after Dupont East. 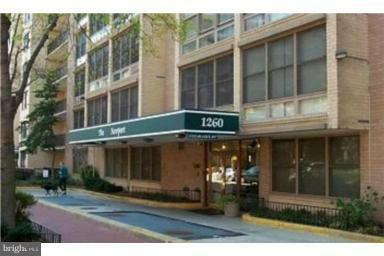 Condo features floor to ceiling windows, fireplace, hardwood floors, large bedroom w/ample closet renovated bathroom. Available furnished or unfurnished. Building features 24/7 front desk, bike storage, laundry room, rooftop terrace. Pet Friendly with no size limits all utilities included in fee. 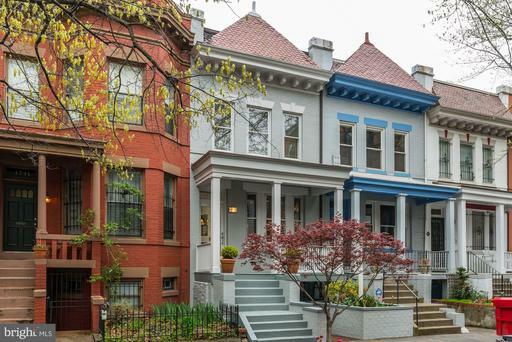 5 minute walk to Dupont Metro and close to Logan Circle restaurants, retail, grocery. Rated 99/100 on WalkScore. Parking available for rent on site. Just listed in Hampshire House! 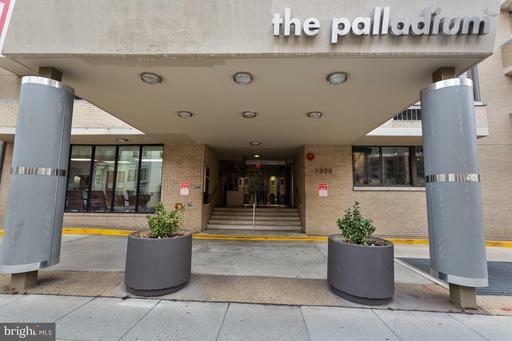 This one bedroom condominium features hardwood floors, an updated kitchen with granite counters and stainless steel appliances. New washer/dryer, freshly painted with zero VOC paint, and pet friendly. 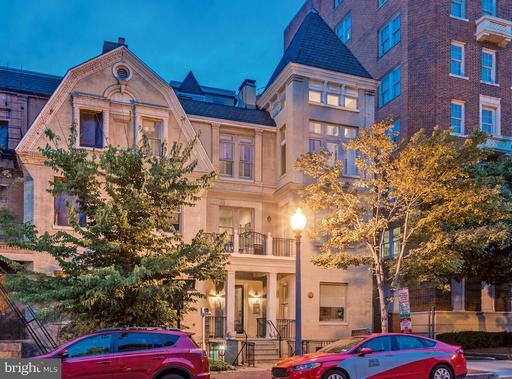 Located in the most central part of Dupont Circle. Walk to Rock Creek Park. Short blocks to everything - Trader Joes, Whole Foods, METRO, newly opened Chiko, Bluestone Lane, and more. 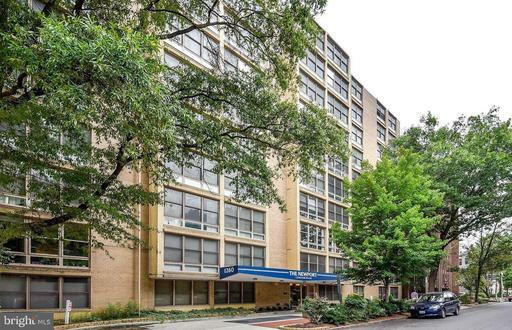 Low condo fee, easy access to Rock Creek Parkway and transportation. Well-maintained building and investors permitted. Rental parking available- no wait list. Walk score 97. Recently saged for positive energy. 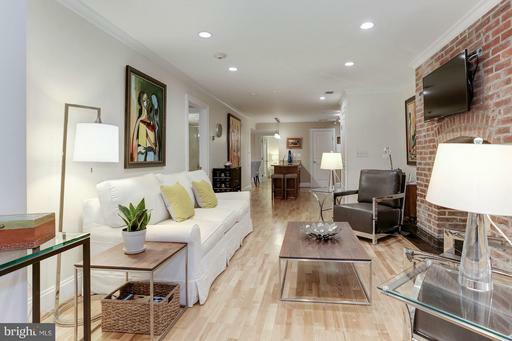 Charming studio in one of DCs most sough after locations, Dupont Circle! 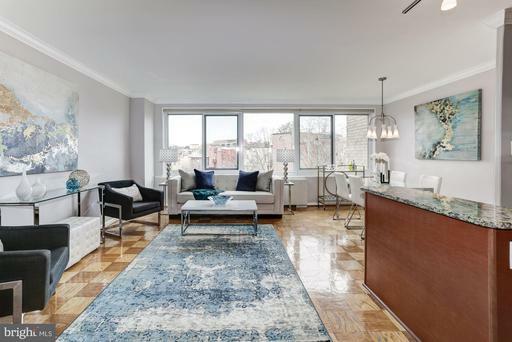 HWF, ample storage space including a spacious walk-in closet, floor to ceiling windows flood the home with natural light, corner unit with northwest views, luxury full bath. Kit. fts. granite counters, SS-appli., gas cooking, loads of cabinet space. Dupont East offers 24-hour front desk, rooftop deck, and is located across the street from the Red Line at Dupont Circle Station! Spectacular professional designed open floor plan unit with Gourmet kitchen w/granite, stainless designer appliances cabinets, ceramics backsplash, under cabinet lighting, with Breakfast bar open up to living area. Brazilian Cherry hardwood flooring, huge windows with view of court yard. Walk-in closet w/built-ins. 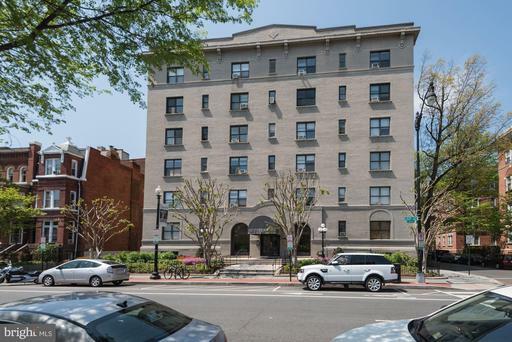 Great location within Walking Distance to Dupont Circle Metro, many resturants and bars within walking distance. 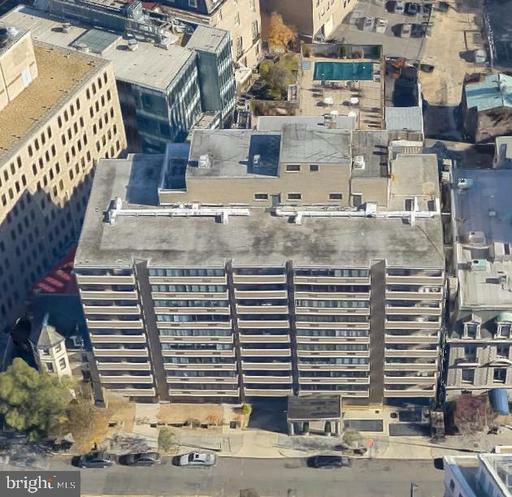 LOW condo fee includes ALL Utilities water, sewer, heat, electricity and gas, Roof Top area has great view of the city, also includes party room and common laundry facility. 24 hr Security in building. 6 months minimum rental lease restriction, no pets allowed in building. OPEN SAT 4/20 SUN 4/21 1 to 4 pm. 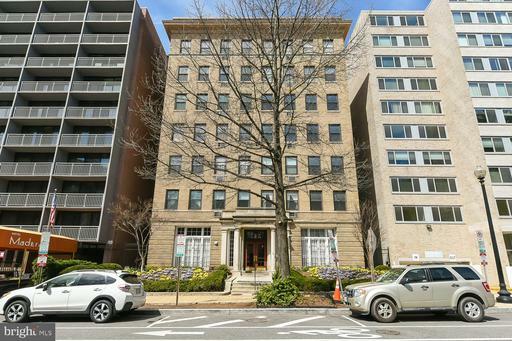 Fabulous 1 BR, 1 BA in the heart of Dupont Circle. Beautiful gourmet kitchen with granite counters, stainless appliances, and breakfast bar. Bright bedroom with floor-to-ceiling windows. Fully renovated bath. Large storage closet that could also be small home office. Lovely hardwood floors throughout. Pet friendly community. Full service building with 24 hour desk and great rooftop pool. Condo fee includes all utilities. Lots of great restaurants and shops within walking distance. 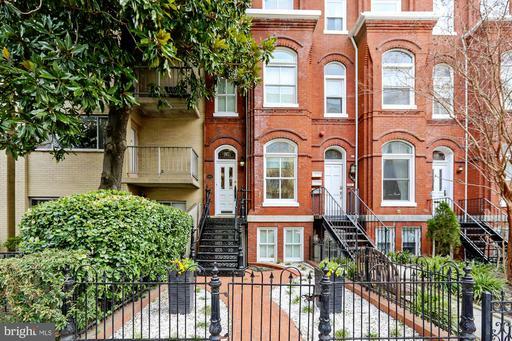 Just 3 blocks to the Dupont Circle Metro. Jr. One Bedroom - Needs Updating, but priced to sell - two blocks from Dupont Metro, Amazing Roof deck, Storage, Front Desk security / Packages, beautiful roof deck elevator goes directly to roof, floor to ceiling windows, laundry on floor, pet friendly weight limit - cute/comfortable/affordable - Condo fee includes all utilities - gas, electric, water, etc. Walk to Dupont, Foggy Bottom, Georgetown, Downtown. JUST REDUCED! PRICED TO SELL! 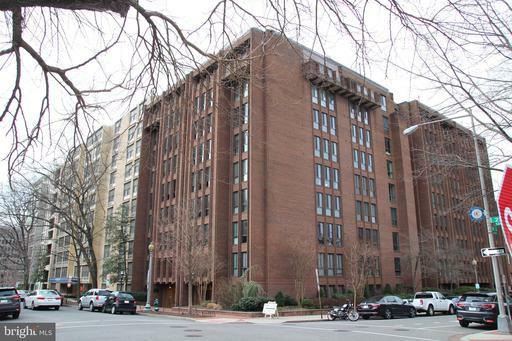 Charming, large 8th floor studio in the heart of Dupont. Bathroom completely renovated! Newly refinished parquet floors, freshly painted! 2 walk-in closets! Amazing roof deck with great views, pool, and grilling area. All utilities included in condo fee. 24hr front desk. Walk to Metro, restaurants, nightlife, shopping, and much more! No rental restrictions, investors welcome! Walk Score 97. 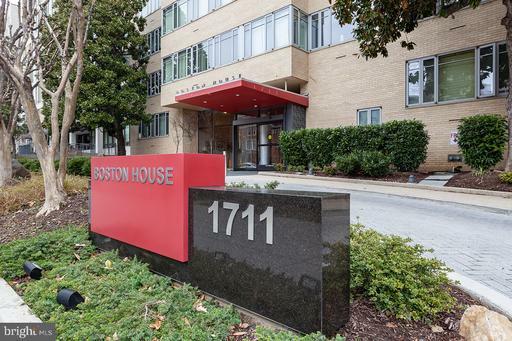 PRICE JUST REDUCED on this bright corner studio apartment in the popular Boston House approx. 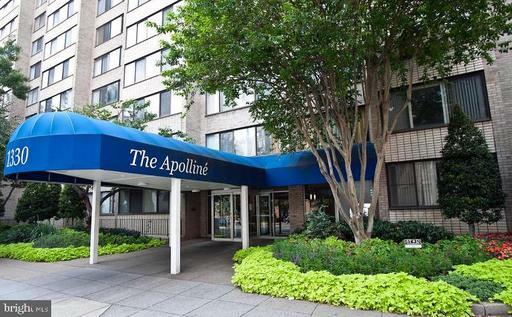 2 blocks from Dupont Metro Station and so convenient to all Dupont Circle area has to offer. Many lge windows providing light and nice quiet city view. Parquet wood floors and space-saving kitchen and bath. Needs some updating and selling "as is". Building features, locked main entrance, 24-7 front desk attendant, community room, wonderful rooftop terrace with cooking grilles and lower level laundry room. Low condo fee includes utilities. Investor Friendly! Some cats allowed with Board approval. This sale is subject to court approval. Listing Broker: Alex Cooper Auctioneers, Inc.
Offers, if any, are due by 3pm on Wednesday, April 3. Window filled terrace level one bedroom in the heart of Dupont Circle. 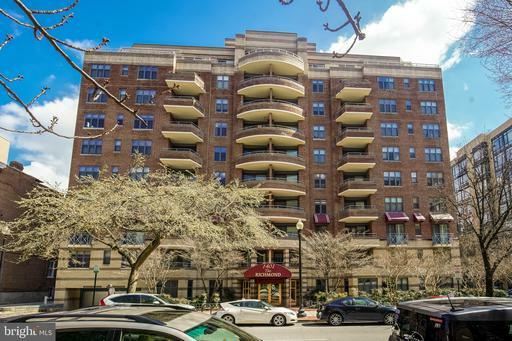 Perfect pied-~-terre or year round apartment in one of DCs most sought after neighborhoods. Hardwood floors, full kitchen and courtyard views. Comm laundry on every floor and lovely rooftop deck with pool. Potential rental income/investor friendly building. 24-hour concierge, additional storage, and bike rooms are also available for rent. Condo fees include all utilities! Cheaper to own than to rent!! Steps to Dupont Circle, Trader Joes, GW, Metro, mid-town. Rare rooftop pool with spectacular views! Private courtyard. ALL UTILITIES INCLUDED in condo fee. 24-hour desk; My mortgage lender says your monthly payment could be below $2k including condo fee! OWNER/AGENT SAYS SELL!!!!! Seller has rented unit, tenants needs 30 day notice.Open Floor Plan - Move in Ready Studio in Sought after West End. Property Features, Great Light - Wood Floors, Updated Appliances, All Utilities Included. Walk to Everything from Restaurants, Bars, Shopping, Metro and much more! 24 Hour Security, Concierge, Roof Deck w/ Pool! 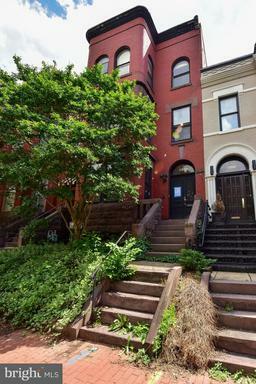 Unbeatable opportunity for first-time homebuyer or out-of-town lobbyist pied a terre. Sold "as is." Highly sought Copley Coop. 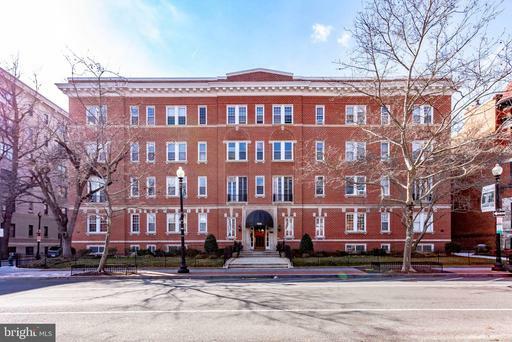 Historic Wardman near Dupont metro, Safeway, Whole Foods, 14th St. Bright efficiency, Shared rooftop. Pet friendly. Coop monthly includes utilities, taxes and internet. Front desk: 8-7:30 M-F.